Don and Terry give each loan special attention. You feel like their only client. They have years of experience. Need a reverse mortgage? They will walk you through the process and make it easy to understand. Great. Second time I’ve worked with Don & Terri and am happy to recommend them. Definitely went above and beyond in an analysis of options, rather than just quoting a number. Valuable knowledge on all aspects of a reverse mortgage. Very helpful, kind and respectful service. Don and Terri are wonderful, good, people. They care so much for their clients and doing the right thing. 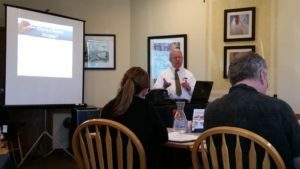 Their educational workshops help folks make choices as to whether or not a reverse mortgage is the right thing for them. 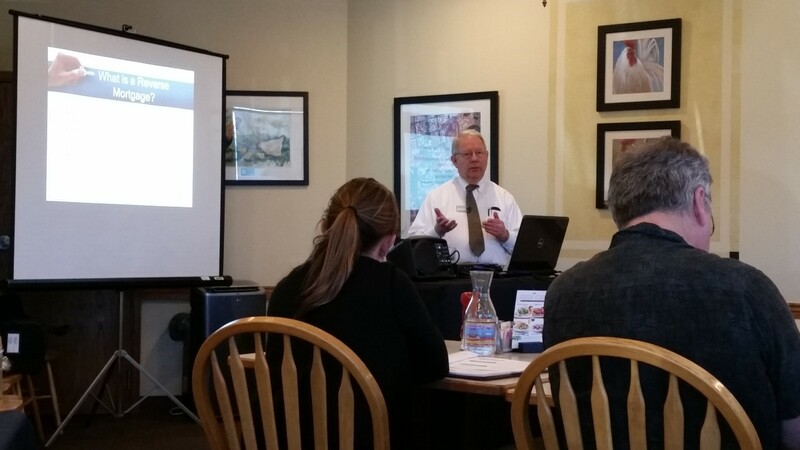 I just attended a lunch seminar led by the owner, Don on the topic of reverse mortgages. Don led a great program. It was very informative; full of helpful tips for both my clients and myself! Terri and Don are a family owned business providing quality service with empathy to their clients. They pay attention to the details and area my go to referral source for clients interested in reverse mortgages. I thought Don was very informative and helpful providing many different ways to stay in your home. All of my experiences with the team at Orion Mortgage have left me with a very positive impression. They are the right mix of professional, while still caring about the individuals they serve. And they really know their stuff! Don and Terri have done multiple loans for us. 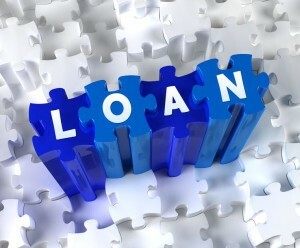 They have processed the loans in a timely manner while keeping us informed throughout the process. They got the job done with exceptional service. Great working with Orion Mortgage! Don and Terri have helped us with not one, but TWO refinances. The service they provided was excellent and we highly recommend them! Don and Terri are a fantastic resource. I’ve known them both for a few years, but recently I’ve gone to them for help in understanding my mortgage situation. I’ve received excellent advice. I would not hesitate to recommend them as a resource. Don and Terri are amazing! Thank you!! Orion Mortgage, Inc. specializes in providing personal loan consultations to refinance Colorado properties with both traditional “forward” mortgages and Reverse Mortgages. We understand that each borrower is different and we are committed to helping you find the right mortgage product for your needs. 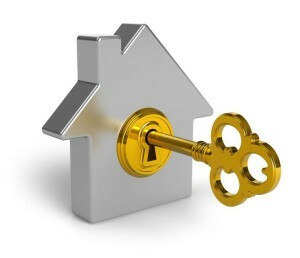 We make the process of securing a mortgage as simple and straightforward as possible. Since 1996, Don and Terri Opeka have always focused on customer satisfaction. We take the time to answer your questions, present you with options, explain each approach and work with the decision you make based on your personal situation. Because of this approach, our primary sources of business are repeat customers and referrals. Our goal is to be the Colorado mortgage broker you can trust! Click HERE to see where we have closed loans. We would love to add your Colorado zip code! Colorado Seniors are living longer more active lives than generations past and it is important to have a trusted source for Reverse Mortgages. Orion Mortgage, Inc. offers educational seminars, personal loan consultations and a commitment to taking you through the process step-by-step. Whether you are seeking information for yourself, a loved one or a client, our knowledge and experience with Reverse Mortgages will give you peace of mind. Smart homeowners review their mortgages annually. Changes in your personal life – family size, employment, health issues, college-bound children, etc. – may indicate it is time to refinance. 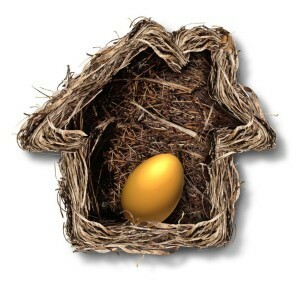 Changes in the economy – interest rates, home value, rental rates – may also be triggers for seeking a refinance. If you own a home or investment property in Colorado, we will be happy to review your current mortgage situation and let you know if you are in the best mortgage for your present circumstances and future goals. Gain a solid understanding of exactly what a Reverse Mortgage is and see numerous real-life examples demonstrating the wide variety of ways this single loan product can meet the needs of individuals in vastly different life and financial situations. Whether you already have a Reverse Mortgage or are researching your options, this seminar provides an overview of what happens when the last borrower leaves the house. Understand how to prepare yourselves, your property and your heirs for a smoother and more advantageous outcome. Learn how Don and Terri help people find the right mortgage. Hear what people have to say about Don and Terri at Orion Mortgage, Inc.
* Certified Senior Advisors (CSAs) have supplemented their individual professional licenses, credentials and education with knowledge about aging and working with seniors. It is recommended that you verify the validity of any professional’s credentials in which you conduct business and be sure you completely understand what those licenses, credentials and education signify. 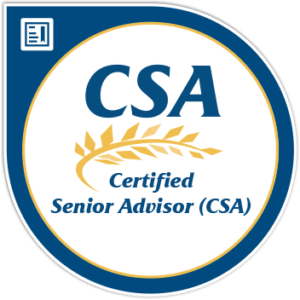 The CSA certification alone does not imply expertise in financial, health or social matters. For more details visit: www.csa.us. Orion Mortgage specializes in making the home loan process easy. Do you want lower payments? We will help you find a cost-effective way to reduce your payments. Do you want lower interest expense? We will help you find the loan that meets your goals. Do you want cash for something else? We will help you turn the equity in your home into cash. Can’t find the loan that meets your needs? Call us at 303-469-1254 or 800-404-0453. Our goal is to help you find the loan that fits your needs! We serve all Colorado communities, including Arvada, Ault, Aurora, Bailey, Bennett, Berthoud, Boulder, Brighton, Broomfield, Brush, Castle Rock, Centennial, Colorado Srpings, Commerce City, Conifer, Denver, Englewood, Erie, Estes Park, Evergreen, Firestone, Fort Collins, Fort Lupton, Frederick, Golden, Grand Junction, Greeley, Hayden, Jamestown, Johnstown, Lafayette, Lakewood, Littleton, Longmont, Louisville, Loveland, Mead, Montrose, Monument, Nederland, Northglenn, Nunn, Parker, Pine, Platteville, Sedalia, Sterling, Superior, Thornton, Westminster, Wheat Ridge and Woodland Park, just to name a few!